Maintenance free silicone airlock waterless fermentation lids for wide mouth mason jars. BPA free, mold free, dishwasher safe. 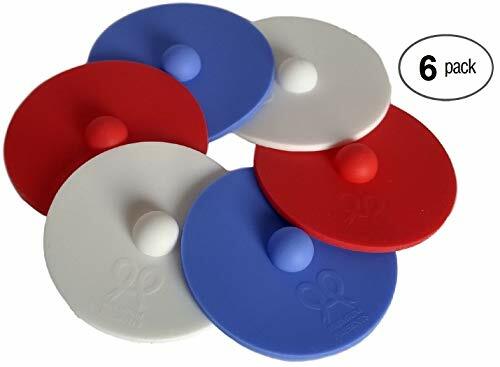 6 pack: 2 red, 2 white, 2 dark blue lids. Premium Presents brand. Automatically vent gas. No need to burp jars or maintain water levels in airlock. 6 pack: 2 red lids + 2 white lids + 2 dark blue lids. Fun DIY fermentation canning tool. Fit on top of all types of wide mouth mason glass jars. Simple one piece low profile design. No messing with multiple bulky pieces. If you have any questions about this product by PremiumPresents, contact us by completing and submitting the form below. If you are looking for a specif part number, please include it with your message.